Small Business Saturday UK highlights small business success and encourages consumers to ‘shop local’ and support small businesses in their communities. 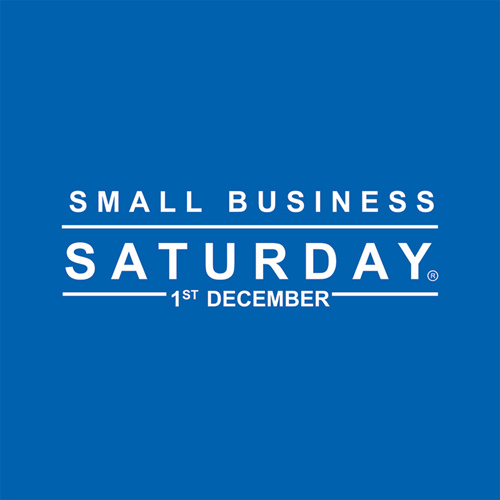 The day itself takes place on the first Saturday in December each year, but the campaign aims to have a lasting impact on small businesses. This year Small Business Saturday will take place on Saturday, December 1st. Small businesses of all kinds are invited to get involved and there are a number of ways to participate, from registering on their small business finder, to downloading their marketing support pack to make the most of the opportunity. More information here. 1. Sign up for Small Business Saturday on their website. 2. Use the marketing materials that Small Business Saturday provide on their website for your own social media and perhaps add the logo onto your website in the run up to the week? 3. Create an offer a special Small Business Saturday offer. Perhaps less of a discount and more of a great giveaway. Is there a chance that you could pop up at a location specially for the day? That way you can direct people to where you will be on the day so that they can enjoy their giveaway, which could be free drinks and nibbles while they browse?